Profile: Dr. Patrick Safran is an experienced international development practitioner with 34 years of demonstrated history of working in the international trade and development industry. He is skilled in peace and conflict studies, sustainable development, policy analysis, strategic planning, and biodiversity. 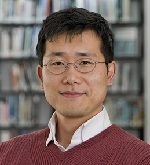 He has strong community and social services professional expertise with a Habilitation à Diriger des Recherches (HDR) in Natural Sciences and a Doctor degree in Biology from University of Lille 1 Sciences and Technology (France), and a Doctor degree in Agriculture from Tohoku University (Japan). Prior to joining INU, Dr. Safran worked 19 years at the Asian Development Bank (ADB) where he was the corporate focal point for fragile and conflict-affected countries supporting ADB operations in this context. Previously, he helped developed ADB’s strategic and results-oriented approach to fragile situations; principal author of the policy and focal point for disaster and emergency assistance; ICT coordinator; and project specialist and focal point for coastal and aquatic resources management. Prior to joining ADB, Dr. Safran was the Regional Manager for Asia-Pacific and Latin America at the French Agency for Agricultural Research for International Development (CIRAD). Dr. Safran is the Honorary Theme Editor for Fisheries and Aquaculture of the UNESCO Encyclopedia of Life Support Systems and he has authored many papers covering his diverse career. He has also participated in many international symposiums and delivered many keynote/invited speeches.